SpringFest 2019, a dazzling display of some of the finest artwork in the area, will be held March 21 through May 5 in our Main Gallery. Congratulations to Augustan Kay Lovingood, who was awarded “Best in Show” for a gourd bowl she carved for Springfest 2019. 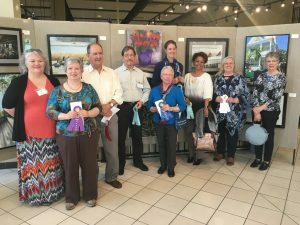 Other winners: First Place, Lois Stricklin; Second Place, Ron Buttler; Third Place, Elizabeth Barnes; and honorable mentions for Cassandra Bayer, Debbie Blade, Laura Bowers, Ronda Bryce, Garland Gooden and Marsha Rowe. Over 70 pieces of amazing artwork–paintings, sculptures, photography and more–were entered and will be displayed in the North Augusta Municipal Center through May 5. Come check out the amazing local and regional talent represented in the competition! 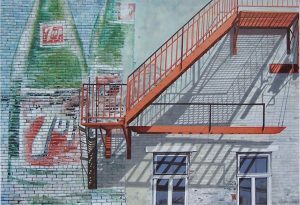 In our Balcony Gallery we welcome Mary Ann Brock. Her artwork will be on display March 21 through May 5. Although she graduated from the University of Kansas with a degree in Art Education, Mary Ann’s career took a turn away from the arts into the area of special education, and graduate school. After years of teaching, raising a family and many moves around the country, she retired and started what felt like a new career in the world of art. 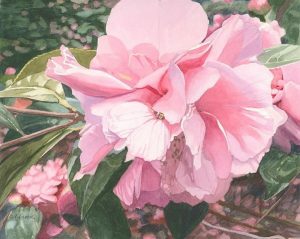 Classes at USCA under Al Beyer, at Aiken Center of the Arts and several workshops in the area inspired her to continue with watercolor painting. She is currently painting in the studio of and under the guidance of David Mascaro in Augusta, Georgia. Her preferred medium is still watercolor and her style is realism. Subject matter varies and can be informal portraiture, landscape, still life, architectural or nature study. Mary Ann has won numerous awards in shows across South Carolina and is a Member With Exellence of the South Carolina Watermedia Society. She is a member and past president of the Aiken Artist Guild.